If you follow GTD methodology then most likely you have plenty of projects. After all anything that takes more than 2 steps is a project. Over time this can be overwhelming and your project list becomes unmanageable. There are few things you could do with that. You can’t do everything so you need to be careful what you allow into your space. We want to achieve a lot and we certainly can but not all at once. Overtime we will accomplish a lot but in given week we can only do this much. Limit the number of projects you work on only to those you can actually manage. Learn to say no, ask for guidance on priorities, make a good use of someday list and revisit things later. Dirt, clutter and overwhelm are result of inertia and leaving things unkept and stale. When your project list looks like that it’s time for a clean up. Remove completed or dead projects. If something has been finished mark it as done. Things have been cancelled, postponed for later. This means you no longer need to look at them. Make sure your project list reflects that. Delete those items. Your list MUST show only those items you’re actually working on this week or month. Has a project been stuck for weeks and you’ve avoided it like a plaque? Perhaps it’s time to go back to basics. Move away from the tactical level to take a look at the bigger picture. What is the purpose of the project? What do you want to achieve? Spend some time thinking about each and define where you want to get. Make it clear so there is no doubt about the end result. Each project requires few steps to complete. If you haven’t done much about it, think of the necessary elements. Start from the end and work backwards until you get to first step. Then make a list the all the items and add at least one to your next action list. If this got you really excited book some time in your calendar and spend an hour or so working on the project. If a project is your priority then why it’s not done? Re-define your priorities or look at them, giving yourself a fresh start. Once you’re clear, pick the first item and put the right amount of focus onto it. Schedule specific time to work on it. Add to your calendar and work on it daily until it’s completed. Although, possibly most difficult aspect of GTD, review is one that helps to keep system up to date and working. Don’t skip it and make sure you do one as often as necessary. Once a week or every ten day will generally do but if you find that you constantly lose control do them more often. While doing the review make sure you review your project list. Add, drop or completely delete projects based on your current priorities and obligation. This will help you make sure you are only looking at things that have you focus. Do you have a way of dealing with too many projects? What’s your best approach. Eat that frog by Brian Tracy is one of the classic books on time management, personal productivity and effectiveness. Although it has been published quite a few years ago it still contains a lot very useful and practical advice. This also means that despite the progress in technology, systems basic work problems like getting things done, focusing on important items, achieving goal hasn’t been resolved. Therefore this week I wanted to share a selection of the best tips and ideas from the book which you could use to become more effective and get more done. Planning every day is one the single most effective techniques you could use to ensure consistent progress, yet it remains one of the most underutilized or ignored. Tracy points out that every minute spend planning saves up to 10 minutes in execution. Whether this is correct or not planning your day a night before is definitely very effective and powerful technique. You may be put of by the required time to completed a daily plan but if you look at up close it isn’t that difficult or time consuming. Simply in your last 15 minutes of the work day pull out pen and paper and your master task list. Then select few tasks which are really important to you and write them down on paper. I try to complete my plan each day and I find that selecting 3-5 items is really enough. Less than that won’t be challenging nor satisfying and more that will be cause of disappointment of too many unexpected things pop up. Lastly once you’re done with your list put it on top of your keyboard or screen so it’s the first thing you see in the morning. If you are looking for a way to establish what’s important and what brings most of the effects 80/20 rule should clear a lot of things. In its basic form principle says that 20% of activities will amount to 80% of outcomes regardless of the area and context it’s measured. To take that further 80% of your time is spend on activities that yield only 20% of results. This may sound quite depressing. So how do you leverage the 80/20 principle in your favour. establish your key result areas – what really important? establish your 20% most impact tasks projects – what are the projects which yield most return? start your day by focusing on your 20% high impact tasks – see daily planning above look out for activities that 80% that consume your time and bring very little value. People used to take pride in ability to multitask which seemed like a perfect skill for solving all problems of more work and less time. Unfortunately this strategy creates more problems that in actually solves. Constant tasks switching can cost you up to 5 times in time necessary to complete a task. To avoid that, first select one action and work on it until it’s done. If you lose focus and put your attention somewhere else try to get back to the original task and attempt to finish it. Repeat the process until done. To assist with that try to remove or reduce distractions. Turn of the email, internet, send calls to voicemail. Majority of important work requires a large uninterrupted time to complete. Whether you work on a presentation or write a report it will not be possible to finish it in an hour. In order to take advantage of those large chunks of time set up your day so that you plan them above other things. Use your calendar to block sufficient amount of time, then eliminate distractions and get to work. Before you start make sure you have a clear indication of tasks which you want to accomplish during that session. Alternative method is to refer to your project plan and start working in the next set of tasks. Are you familiar with a question, how do you eat an elephant? The answer is one bite a time. The same applies to large tasks and projects. As mentioned above big and importat things usually take time to accomplish. It’s not always easy to see the end. To begin slicing your big project start with a list of all possible tasks you will have to do in order to take the project to successful completion. Then select one task and work on it. Each completed task will help you satisfy the need of making progress and seeing some results. Lets be honest work does not comprise of only interesting and cool projects and tasks. Very often we need to deal with the boring, unpleasant and downright pointless activities. The simplest strategy to deal with such thing is to do it first thing in the morning. Do it quickly and move to something else. Very often we start working on something only to realise that we were going in the wrong direction or missing some key tools, people or skills to accomplish it. Tracy suggest that before you embark on something big make sure you have everything you need at hand. Setup your work area so that it will support completing the tasks. If you’re writing a report make sure you have the research and the necessary data. Also to avoid distraction clear off the stuff you don’t need for this task leave only what’s necessary. If your mind happens to wander off there will be fewer things to put your attention on. My own suggestion is to always make a plan before. This ways you have a clearer picture of what you want and what needs to be accomplished. My preferred method of planning is to use mind maps. If you prefer a more ordered approach simple outline will do the trick as well. You can read about my favourite software here. “Eat that frog” is a little book packed with many practical ideas and techniques for improving your personal effectiveness and productivity. If you’re looking for something that will give a bunch of different tips in a bite sized form this book is definitely one to check. This week I wanted to look at using Evernote for projects. This will be short description of how i use Evernote for my projects. While setting up a project you can go wild and try to use every possible technique to breakdown tasks, time lines, resources etc. Although such approach can be useful and very insightful (see one example) I tend to try keep things as simple as possible and limit the amount of overhead. When I’m starting a new project I use 5 stages of the GTD planning model as a planning guide. I’ve created a template in PhraseExpress (text expansion tool) so when I’m ready to start I hit right key combination and high level outline of each step appears in the note. Then I start working on a project one stage at a time. Once I have my stages clarified and different elements sorted I assign relevant tags. At the moment I’m using Evernote as a project support tool. This means I will list relevant actions and steps I need to take to move the project but I will not track individual actions in Evernote. Since I use Remember the Milk for managing actions all project related actions are moved there. But if you are interested in using Evernote only please read excellent Evernote e-book by Daniel Gold. There are two primary tags which I assign to a project note. First is a ! !Project tag second is a @Current or @Closed tags. This way I can track my open or closed project lists with a saved search instead of to navigating through myriad of notes. If a project is particularly large, especially if it includes a lot of notes and other supporting documentation, I would create a notebook for that purpose. This way it’s easy to keep all related information in a single location. Once the project is done I assign a specific project tag to all notes in that folder, move them to Reference notebook and delete the project notebook. I’m trying to limit the amount of notebooks I maintain and if I ever need to refer to some documentation I can always find it using relevant tag and search box. Additional two features of Evernote that may come handy for anyone managing project are tables and checkboxes. These two can be quite useful for keeping track of progress of the different stages of a project. Evernote is not a project management solution so trying to fit a large scale commercial project with hundreds of dependencies may not be the best choice. However for many home and small business user it can be exactly what you need. Boeing’s latest commercial airplane called Dreamliner is a great engineering achievement. This plane incorporates some of the latest most innovative technology available. Privately, Boeing officials admit that an all-new plane, a new technology and a new way of working with manufacturers (which involved risk-sharing), was too much novelty all at once. Considering the scale and complexity of the whole project I’m sure there will be some great lessons learned. In 2010 Seth Godin published the "Linchpin". I’ve read it few months ago and found it to be fantastic and indispensable (pun intended) resource for thinking about career, delivering results and creating value. The key concepts of the book make a point that the jobs were you were told what to do are gone now. It’s up to you to find your best path that makes you invaluable. They are the third team, they are not manager nor labour. They are artists providing unique value, crossing the borders and even breaking some of the rules.They hold the organisation together, they are indispensable for any company to grow, to innovate and to move forward. It’s not easy to replace them. Why would you like to be a linchpin? Why in your right mind would you like to challenge things, propose new solutions, do something against the flow? Ask yourself below questions and see what are the responses. Do you like to work on new projects? Do you like freedom and ability to choose where you put your attention? Do you like to be creative and come up with new solutions? Do you like to push the boundaries and see what’s new? Do you like to go an extra mile to provide great service or product? Do you like to make your customers happy? If you have answered yes to any of those questions than you’re on your way to becoming a linchpin whether your know that or not. If you think yes would be your answer, where do you see yourself when this pops up in your mind? Now you know how it’s to be a linchpin and why would you like to be one. How GTD can help you become a linchpin? Getting Things Done methodology is about creating mind like a water. A state in which you maintain your ultimate focus and clarity about the direction you’re taking. Using various tools and techniques you keep on top of your priorities and goals. As consequence you’re able to manage your projects, respond to incoming interruptions and requests in a way that allows you make biggest possible impact on your organisation. Sure it will not always be easy, perhaps it will be more difficult for you than for others. This is a privilege and a consequence of being a linchpin. You venture onto a new territory and you need to create a path on your own. With greater clarity it’s easier to focus on things that are important and bring you to the ultimate goal. Your project list allows you to define your current a future priorities. Your action list helps you maintain focus and help you make the most of your working day. All the elements of good self management included in the GTD methodology will help you become indispensable. This is what employers want. They look for people that can work on their own, spot opportunities for improvement and deliver the results. Start capturing your ideas and thoughts. Keep piece of paper, notepad or a smartphone and write things down. Make decisions and clarify things. Look for next actions and clear outcomes so ideas can move forward. Get into habit of tracking things projects, actions, waiting for items. Review of your commitments. Know where you are with your projects and actions. Don’t aim for emptying lists. Simply review to know your priorities and decide where to put your attention. Do you see your self as a linchpin? Do you have any tips for people that what to become one? Please share those in the comments section. Everything you do in life is a project. Everything! 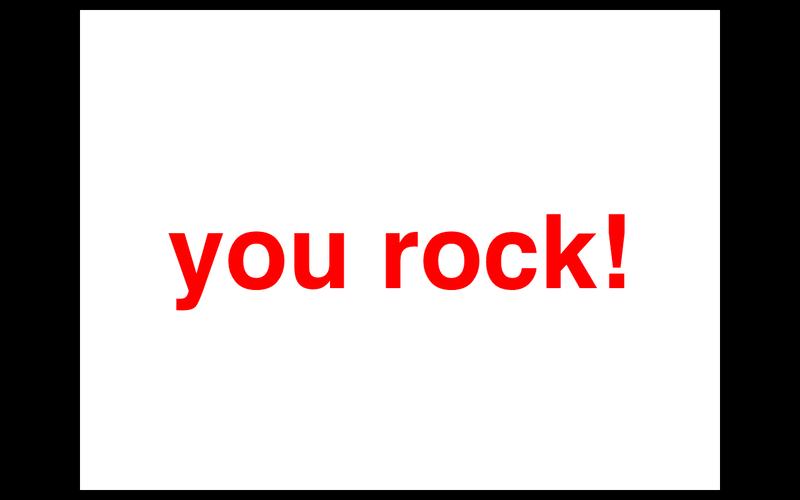 So … I suggest you to get (very) good at managing and accomplishing projects. Here below is a brief and simple explanation of what I have learned from people such as Seth Godin, Tom Peters, Scott Belsky and others. Set the deadline, or in other words the “D-Day”. Once you have the deadline established, identify all the important things that must be done in order to be able to accomplish the big/scary/challenging project on “D-Day”. Then break-down the big/scary/challenging project into smaller chunks containing all those critical actions that must be done and set milestones. 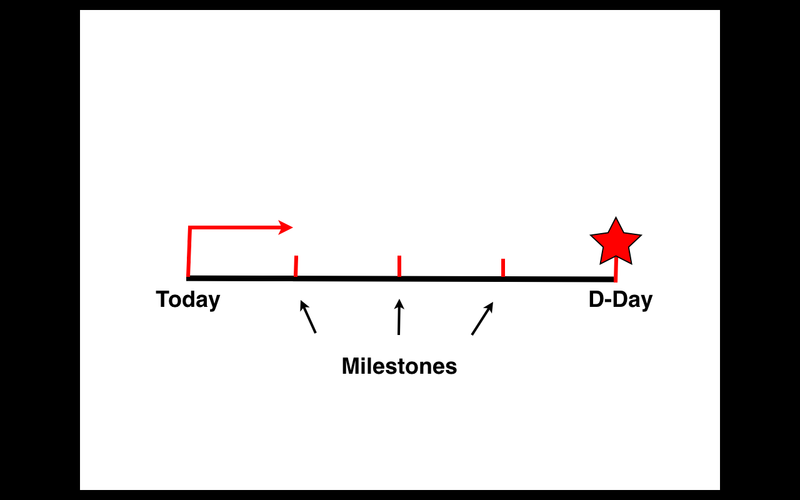 Now that you have your milestones established, you don’t need to worry about having to deal with a big/scary/challenging project. You just have to focus on putting all your energy and effort into accomplishing the next milestone. 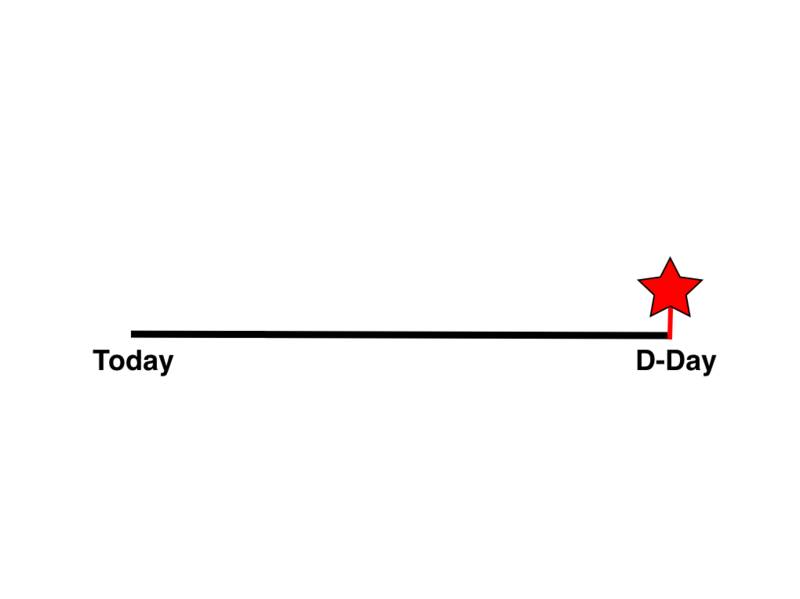 On D-Day, regardless of what is the actual status of your progress …. 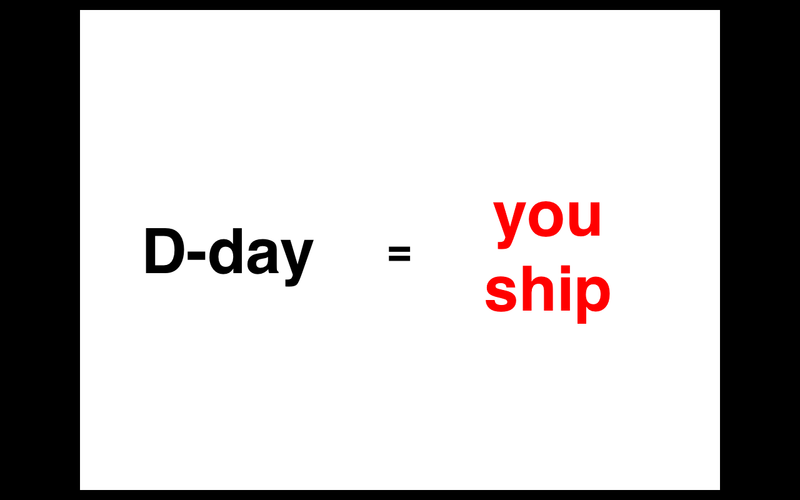 you ship. No last minute extensions, no excuses. You deliver. Feel good. You are officially an achiever. Now go and get another cool / challenging / scary project. About Ivan: Ivan Hernandez is an entrepreneur, educator, keynote speaker and business consultant. He’s a passionate social media evangelist. You can read his writing on his personal site Ivan Hernadez or follow on twitter @IvanHernandez_.